This was my fifth year attending the Southern California Genealogical Society’s Jamboree, which took place 9–11 June in Burbank, California. It was my fourth year hosting a meetup of the NextGen Genealogy Network, and my first year as a speaker. “The Next Generation: Young Genealogists and Your Society” with Eric Wells, Deborah Sweeney, Lisa Medina, Melanie Frick, Randy Whited, and Paul Woodbury. Photograph courtesy of Victoria Wells. 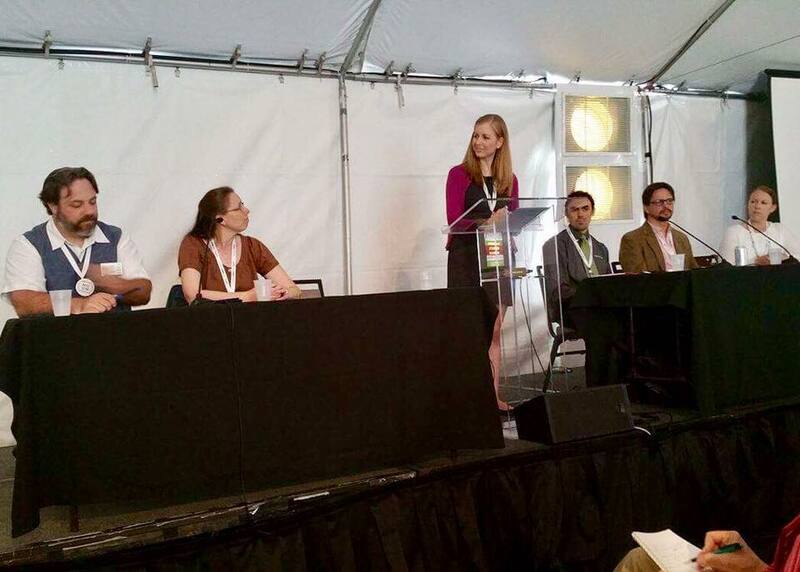 On Saturday, 10 June, I moderated a panel discussion, “The Next Generation: Young Genealogists and Your Society,” with a stellar team of panelists: Lisa Medina, Deborah Sweeney, Eric Wells, Randy Whited, and Paul Woodbury. One hour flew by as we discussed how genealogy societies can welcome young genealogists, how societies can avoid making them feel out of place or undervalued, and what makes a young genealogist want to engage with a society. I was glad to see many society leaders in attendance, and there were a number of questions and comments from the audience which made for an interesting discussion. “The Next Generation: Young Genealogists and Your Society.” Photograph courtesy of Victoria Wells. 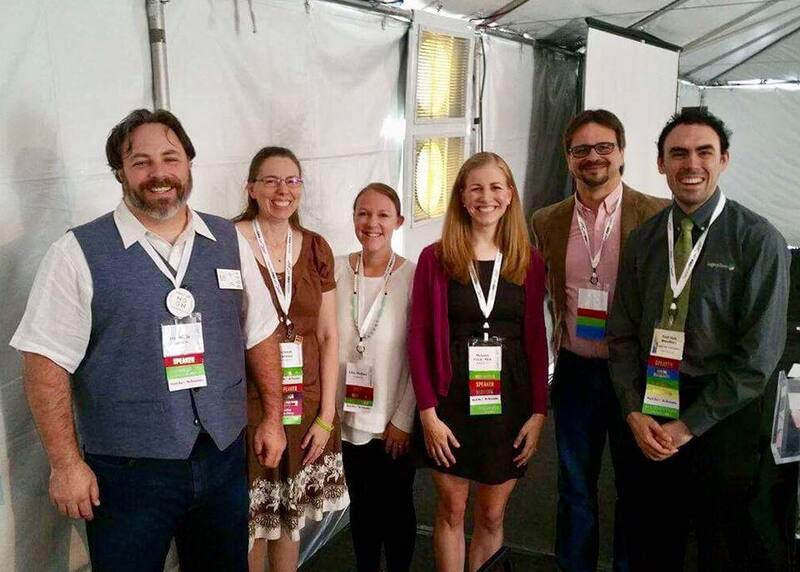 Following the panel was the fifth annual meetup of the NextGen Genealogy Network, which I co-hosted with Eric Wells. We had a good turnout including several familiar as well as new faces! I was glad to have a chance to meet the recipient of the 2017 Suzanne Winsor Freeman Student Genealogy Grant, Mindy Jacox. 2017 NextGen Genealogy Network Meetup at the Southern California Genealogical Society Jamboree. This was also my briefest year at Jamboree due to an unavoidable scheduling conflict. I only managed a quick peek at the exhibit hall and a few hellos with friends, and, unfortunately, was unable to stay for any other sessions. However, even in the short time I was there, I could tell that the conference organizers put on another fun and high-quality event. There were many sessions I would have loved to have seen, from DNA analysis to cluster research to dating fashion in old photographs. Next year! 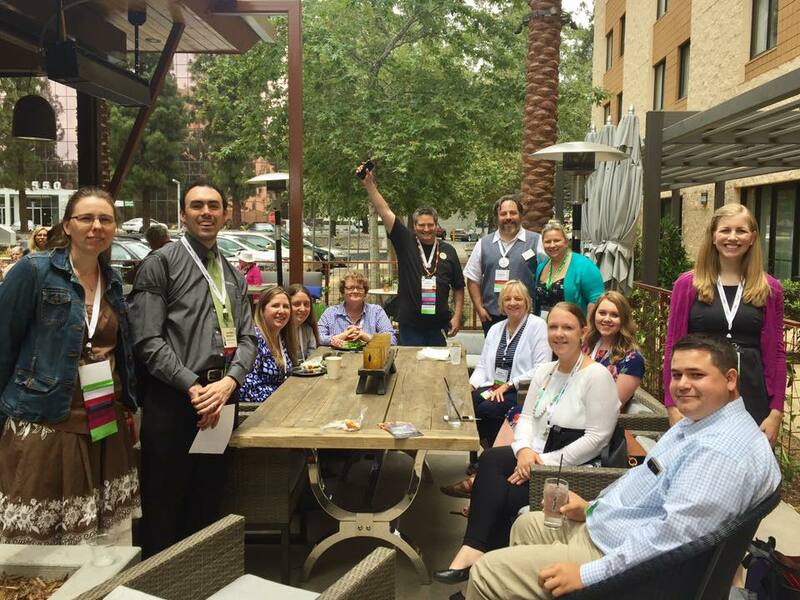 This entry was posted in Professional Development and tagged conference, family history, genealogy, Jamboree, NextGen Genealogy Network, professional development, Southern California Genealogical Society on June 12, 2017 by Melanie Frick. Missed seeing you this year, Melanie, even though we knew your time there would be limited. Hopefully, next year will afford you a longer stay–and more speaking opportunities!